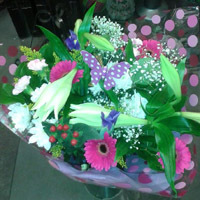 Based in Finglas West Flowers by Rita florist has been providing outstanding flowers and floral arrangements to the people of Finglas, and beyond for more than 25 years. Call 086 102 3225 or 01 836 2457 to order now. Proprietor Rita Lawlor only uses the freshest flowers, from local suppliers and the very best international flower growers, to create beautiful long-lasting and unique flower arrangements. 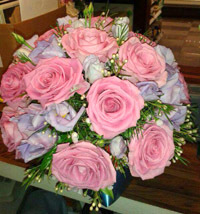 Rita has also supplied flowers to the world of entertainment. Her award-winning arrangements have featured in episodes of Mrs Browns Boys, Moone Boy, and Citizen Charlie (the TV series about Charles Haughey). Call Rita at 086 102 3225 or 01 836 2457to order today. 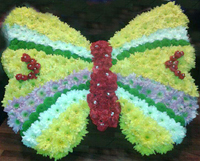 Regardless of the occasion Rita will create the perfect floral display for you. 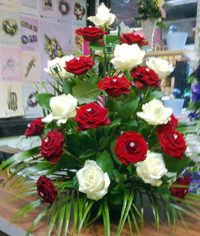 Order flowers for Valentine's Day, Mother's Day, Christmas, Birthdays, Anniversaries, Weddings, New Borns, and also Funeral Flowers. 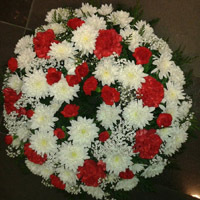 Rita delivers flowers to all parts of Finglas, Glasnevin, Ballymun, Cabra, Santry and other areas of north Dublin City. 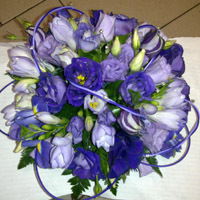 To order you special flower delivery call Rita now at 086 102 3225 or 01 836 2457 and pay by credit/dibit card. 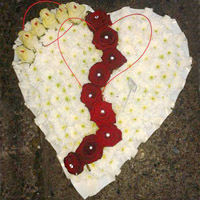 You can also order online by paying via PayPal and then email, rita.lawlor19@gmail.com, your details. See Online Orders for more information. Our online payment partner is PayPal, the safer and faster way to make payments online.